It was fifty years ago today Sunday February 23, 1969- NASCAR’s first race of the year- the 11th Daytona 500. It was an exciting race with LeeRoy Yarbrough on the last lap tracking down and passing Charlie Glotzbach who had an 11 second lead on Yarbrough- to win the race. Yarbrough had finished second in the Daytona 500 a year earlier. 51 drivers started the race with Buddy Baker on the pole. Donnie Allison led the most laps- leading in 87 of the 200 laps on the 2.5 mile course. Charlie Glotzbach had led 51 and Buddy Baker 23 laps. 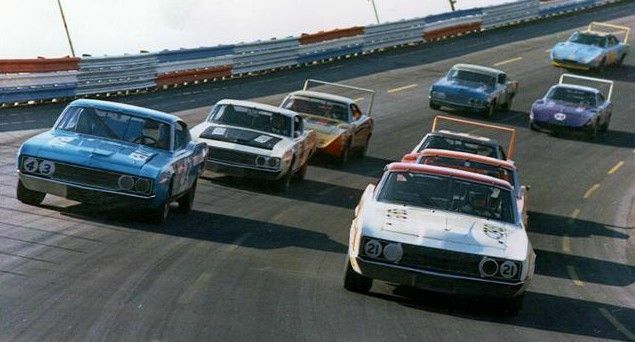 LeeRoy Yarbrough would lead only 18 laps but it is who is in first at the end that counts and it was Yarbrough. Donnie Allison finished 3rd behind Yarbrough and Glotzbach. AJ Foyt more known for his Indy car racing finished 4th. The pole sitter Baker was 5th. Two notables didn’t even lead a lap- David Pearson finished 6th and The King Richard Petty finished 8th. The average speed was 157.95 MPH. 29 of the 51 cars that began the race were still running at the end. I only watched Nascar in the late 70s because I loved the red, white, and blue Richard Petty car. 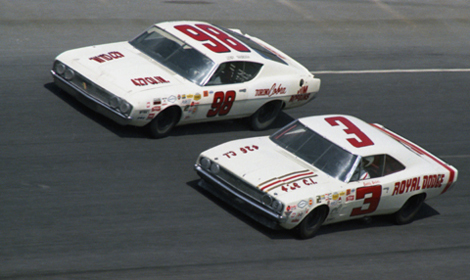 I was watching 10 years later in 79 when Allison and Cale Yarbrough wrecked and fought…and then Petty won. A few years later I never watched again really. I didn’t know LeeRoy…yikes I just looked him up…no relation to Cale..not a good ending. LeeRoy had problems. You are right tragic ending there.. That fight made NASCAR! I was watching that too….. I remember when NASCAR- the TV they got was -the Wide Wide World of sports would show the last 20 laps. I remember Evel Knievel on there also for his jumps. That was the only place to see some things. I remember cliff diving. Wide World was something I looked forward to around this time of the year- no football and baseball still 6 weeks away.. it was a fun watch. I would watch basketball back then but there was only like one game on tv a week. same with hockey..